Even though there was no expected rise in Bitcoin price due to the Consensus 2018, there were still many interesting things happening in this year’s blockchain technology summit. 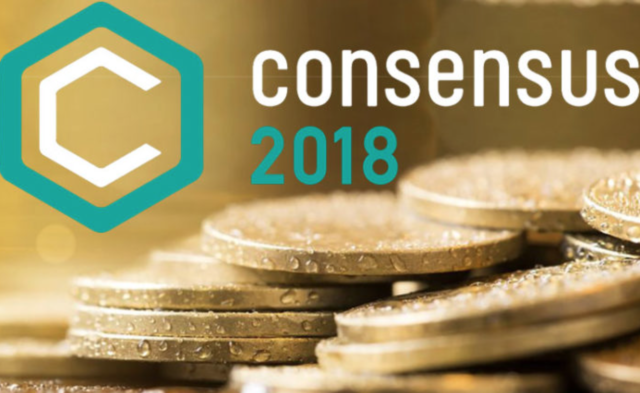 Here’s a summarization of some of the most interesting news that came out in the first few days of Consensus 2018. One of the more interesting conversations on the summit happened on the headline talk between Twitter chief executive Jack Dorsey and his counterpart Elizabeth Stark form Lightning Labs. Dorsey expressed his desire to make the most promising cryptocurrencies globally accepted as a legitimate payment method. “I’m just approaching with the principle that the Internet deserves a native currency. It will have a native currency. I don’t know if it will be Bitcoin.” He stated. The only country which is using Bitcoin as a currency is Dubai. His payment processor Square is in a stage of having its customers using it as a primary bank account along with two of the biggest companies on the platform, fast-food titan McDonald’s and Walmart shopping chain. Square cash started accepting Bitcoin in the final quarter of last year. It is also one of the earliest mainstream financial services that support the cryptocurrency. He also stated that every seller should have an ability to accept any type of payment, coming through their services. The smartphone company has an interesting idea of an Andriod phone, based on blockchain technology. HTC Exodus will feature a universal wallet. Furthermore, they are developing an integrated hardware base that supports cryptocurrencies and many other decentralized applications. The main brain of HTC’s virtual reality headset Vive, Phil Chen is responsible for the advancement of the phone. “Through Exodus, we are excited to be supporting underlying protocols such as Bitcoin, Lightning Networks, Ethereum, Dfinity, and more. We would like to support the entire blockchain ecosystem, and in the next few months we’ll be announcing many more exciting partnerships together, ” said Chen. HTC is aiming to provide a unique blockchain network with the exodus phones performing as nodes to support the cryptocurrency exchange between the phone users. The phone is said to be suitable for privacy oriented customers as you don’t have to rely on big companies for cloud storage. Even though HTC came out with a lot of interesting information, the company did not express the planned release date or the price of the new HTC Exodus. 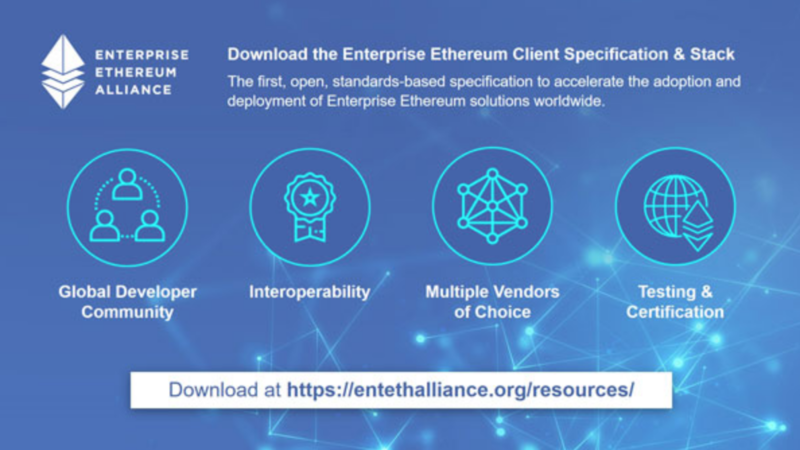 The EEA (Enterprise Ethereum Alliance) has issued a complete blueprint for Ethereum enterprise to ease Ethereum’s adoption. The Alliance, which has over 500 member companies, including two of the largest global banks, Santander and JP Morgan, stated that the document will make the developer adoption swifter, and could potentially be a first step in establishing a global standard in regards to cryptocurrency adoption.